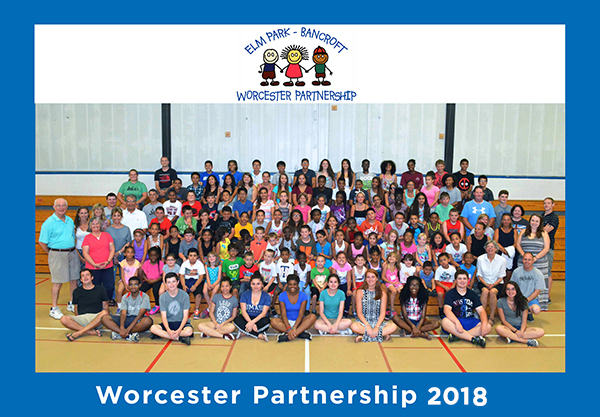 In the summer of 2003 an academic journey of discovery began when two of Worcester's Schools — Elm Park Community and Bancroft School — teamed up to achieve something special: The Worcester Partnership. 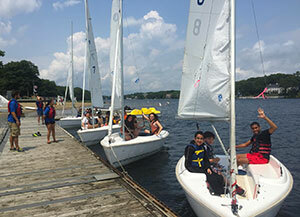 The Worcester Partnership is a year-round adventure for rising first through ninth graders. 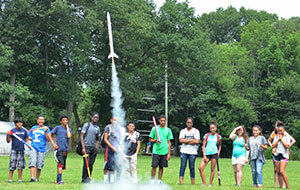 The program consists of a four-week summer component in which students from the Elm Park Community School join us on the Bancroft campus during the month of July. Each day combines the challenge and excitement of academics in the morning, with the spirit of vigorous camp activities in the afternoon. 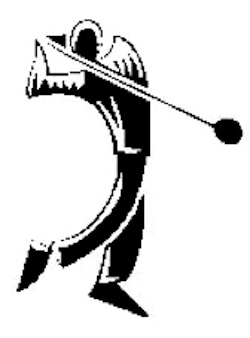 In addition, there are 10 to 12 weeks of Saturday classes during the school year. 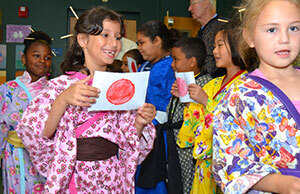 The mission of the Worcester Partnership is to provide designated students (12 per grade) from Elm Park Community School the opportunity for continued and supportive learning in order to ease the transition from one grade to the next. The initial participation sets the stage for a nine-year support mechanism for selected, low-income-family children from Worcester's Public Schools. In addition, it is our desire to open doors to fresh challenges and new ways of thinking by introducing these students to materials and environments to which they might not ordinarily be exposed. The enjoyment of reading is at the core of the curriculum at every level. It is during these early years, when children are learning to be learners, and learning to be members of a larger community, that we provide an opportunity to set the stage for future growth and development. 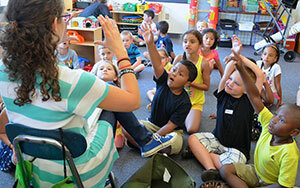 The journey begins at the kindergarten level and was originally intended to continue through grade six. However, many of our "graduates" found that they were not quite ready to leave, so the program has evolved to include middle schoolers as both academic participants and mentors to the younger children. Through the Worcester Partnership, we are committed to creating an environment in which the children feel safe, empowered, and academically challenged — an environment in which taking academic risks is the norm — and an environment based on tolerance and respect. Success will be measured by individual growth and the positive direction of the group. The ability to problem solve, enjoy a laugh, question, explore, and try, is the cornerstone of the Worcester Partnership. Please join us on this academic journey, so that together we will make a difference in the lives of these children, and thereby in the Worcester community. Your understanding and financial support will help us achieve our goals.